I wanted to do a review on this product has I've had a lot of people online (either in twitter or tumblr chats, or people messaging me) asking me what is the best sun cream protection in my opinion, and whenever I use sun cream this is my number one product I go to. 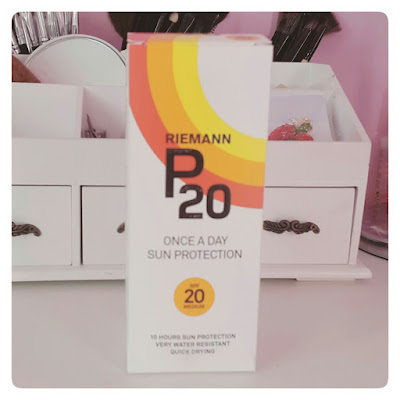 I've been using this product for about three to four months now, and I have honestly never had a sun cream protection product as good as Riemann P20 Once a Day 10 Hours Protection with SPF50 and Sunscreen. I use this product once in the morning after my bath or shower and let it all soak in, try to avoid going in water for an hour after you have used Riemann P20 Once a Day 10 Hours Protection with SPF50 and Sunscreen. I love this product, as you can tell, and I like that it doesn't need much time to soak into the skin. 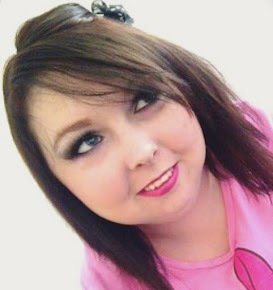 I am very pale fared skinned with freckles which means I burn so easy, and I don't tan at all. I go from white, to red, to white again - but which this product I actually get a small natural tan. I would recommend this product to everyone. Riemann P20 provides 10 hours protection from one application and is very water resistant even after swimming frequently throughout the day. Its clear, lightweight consistency ensures a silky and even coverage. Active 15 minutes after application, it’s quickly absorbed, non sticky and leaves no white marks. The original SPF20 is now joined by other factors: an SPF15, 30 and 50+, which come in a new easy to use spray. Thanks to its long-lasting UVA and UVB filters, it helps protect against burning and the premature signs of ageing, and its once a day formula is colour and paraben-free, with no added fragrance or preservatives. Great for all the family, including the children whether you’re lazing by the pool on holiday, outdoors playing sports, or just enjoying the garden at home. Perfect under make-up or moisturiser and for men with a thinning scalp. You can buy this product on Boots online for £13.99 by clicking here, or by visiting your nearest Boots stone. 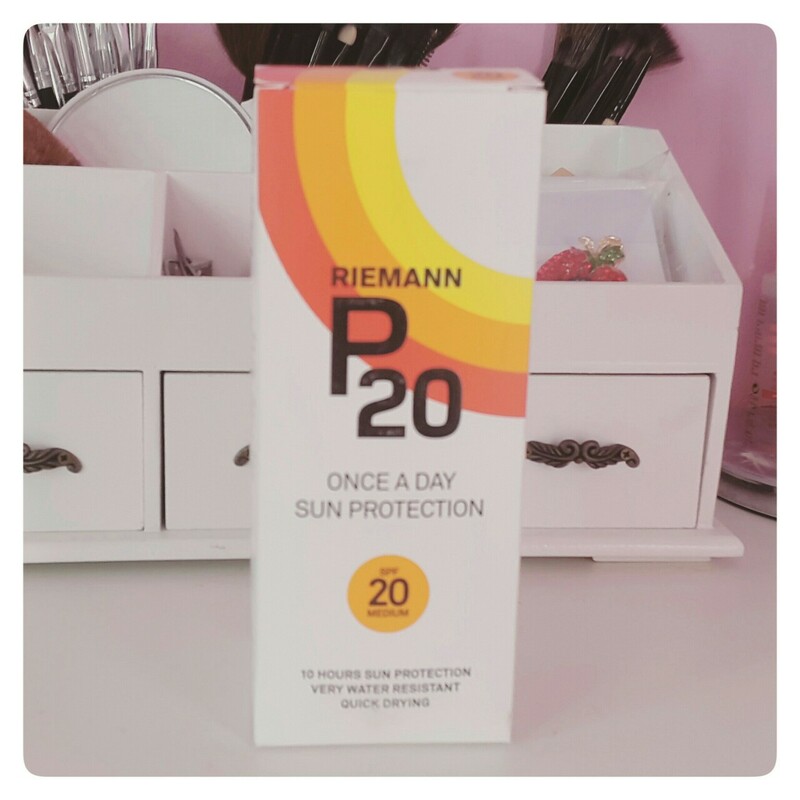 You can find out more about Riemann P20 Once a Day 10 Hours Protection with SPF50 and Sunscreen by clicking here.